Everyone knew that Khloe Kardashian would go all out for her little girl’s first birthday, but the Keeping Up With the Kardashians star truly pulled out all the stops. Nothing was too much when it came to giving baby True the best ever birthday celebration, including live animals, massive balloon displays and even spelling her daughter’s name in a giant topiary. Khloe even invited True’s dad, Tristan Thompson, despite their messy breakup in February following yet another cheating scandal — and things seemed a little chilly between them. In a video the Good American founder shared to her Instagram Story — one of many videos and pics from the birthday party — Thompson can be seen off to the side of the frame, posing with Khloe and True for photos in front of the balloon wall. 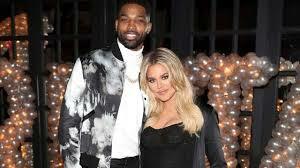 While Thompson attempts to talk with Khloe and play with True, whom Khloe was holding, many fans couldn’t help but feel that the reality star was doing her best to largely ignore her ex as much as possible. However, the epic bash — which kicked off Sunday afternoon, two days after True’s actual birthday — wasn’t all awkward. In fact, it looked to be an insane amount of fun, and the Kardashian family, and their guests, couldn’t help but share snapshots of all the wild and over-the-top aspects of the festivities. First off, mother and daughter were totally twinning in adorable matching silvery blue ensembles, and they couldn’t have been cuter. Another eye-catching display was the massive wall of multi-colored balloons (or, possibly balloon-shaped orbs? It’s hard to tell) that served as a backdrop to the birthday girl’s butterfly-covered cake.